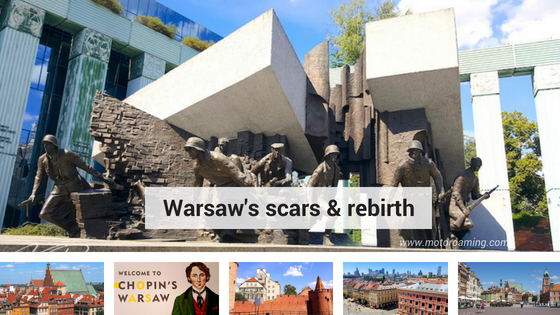 Kraków, capital of Poland’s southern-most region Małopolska, is so much more than a city; it’s a diverse experience that will take you to the edge of your emotions on a rollercoaster journey. Pay your Ticketmaster his fee and then let the wheels take you on the highs of Kraków’s Market Square and Barbican to the up-side-down emotions of Auschwitz-Birkenau. And I promise, you will return home a different person. Whilst it might be tempting to consider a ‘quick city break’ of Kraków as it is without doubt a Bucket List destination, ‘quick’ will never do this region justice. 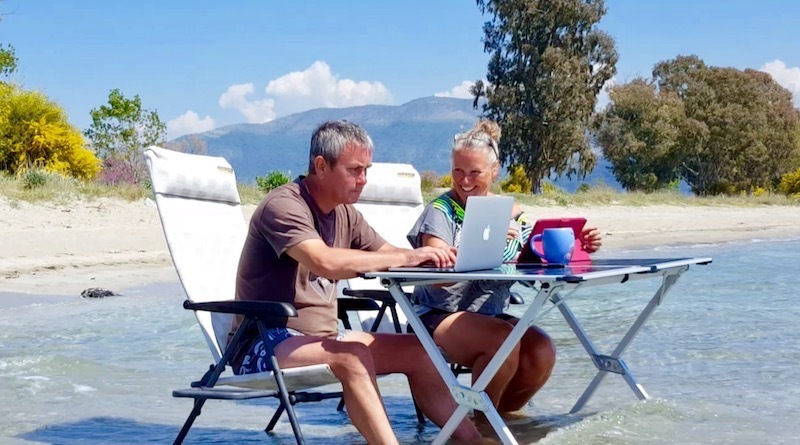 Come with us and we’ll show you around and hopefully tempt you to have an experience of a lifetime and not just a holiday. So if you’re ready, buckle up, settle yourself down and let’s go…. As a starting point, why not check out our interactive map, showing you the Five Kraków Regional Highlights. They say that Kraków is one of Europe’s prettiest cities and there’s no doubting its beauty, historical prowess and tourist attractions. Although with this accolade comes the inevitable over-tourism that plagues so many of our beautiful landscapes around the world and that we now come to expect of our global ‘best destinations’. And Kraków is no different. So be mindful of this as you set your itinerary. Whether you love photography, religion, World War history or ancient history, Kraków has it all. To fit it all into one day though is a tough call. We visited in two half-days and did a self-guided tour. 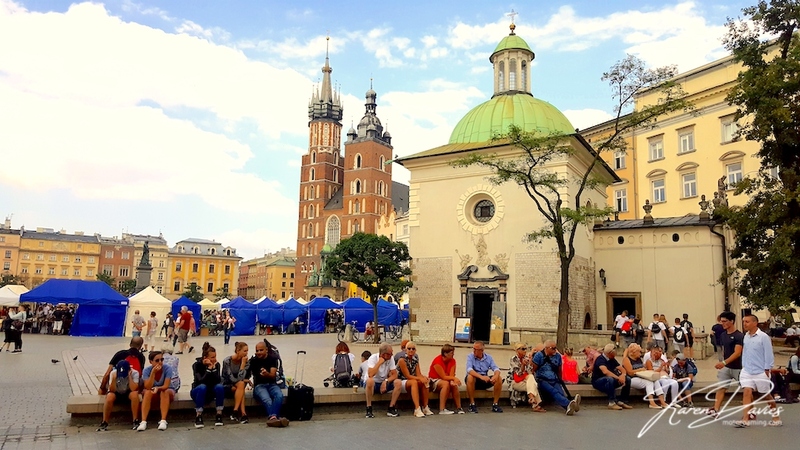 Our first visit was walking through the park towards Wawel Castle and then into the Rynek – Market Square, where we soaked up the atmosphere with a beer watching the street entertainers and listening to the hourly bugle call from the Cathedral Tower. 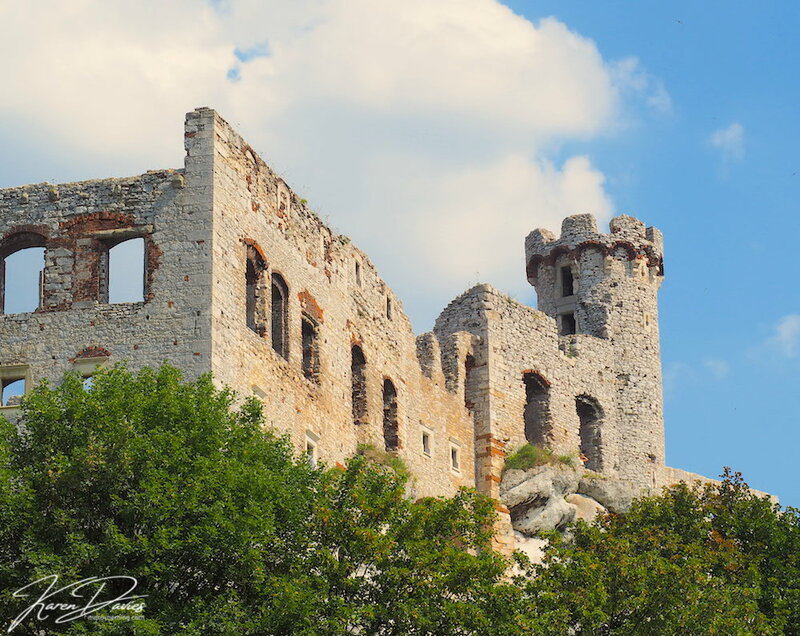 The second trip was into Kazimierz, the Jewish Quarter. For us, we liked this bit the least and whilst from a historical view point it has an important legacy, it felt much darker, grey and actually we didn’t enjoy the vibe there at all. So we had lunch and took off back into the Old Town where we found new streets; one of which was the Barbican – which is absolutely delightful. 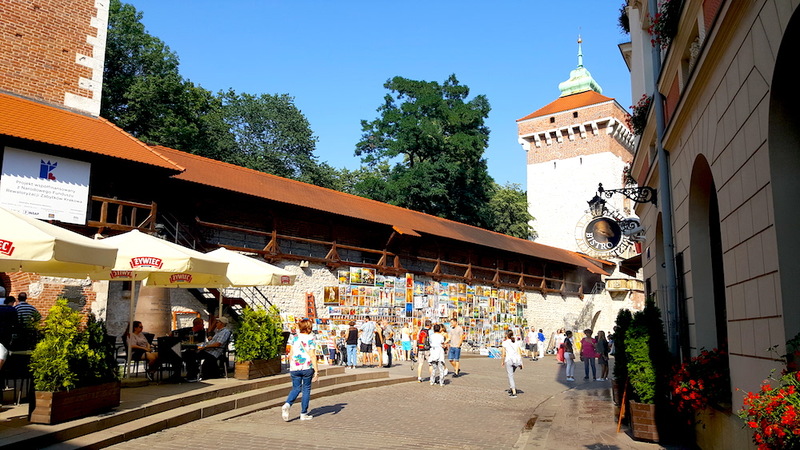 The old city defence walls create a hub of activity, traditionally dressed musicians and artisans selling their artwork, which gave such a lovely feel to the place. Of course the danger with self-guided tours is that you end up missing some of the most charming back streets. So in hindsight, taking the Hop-on, Hop-off bus is a better option and is very reasonable; for 24hrs you can have a standard bus tour (which unlike other cities has just one route) for just under £14 or you can choose a bus and boat combo for under £23. It’s always lovely to see a city from a river view. 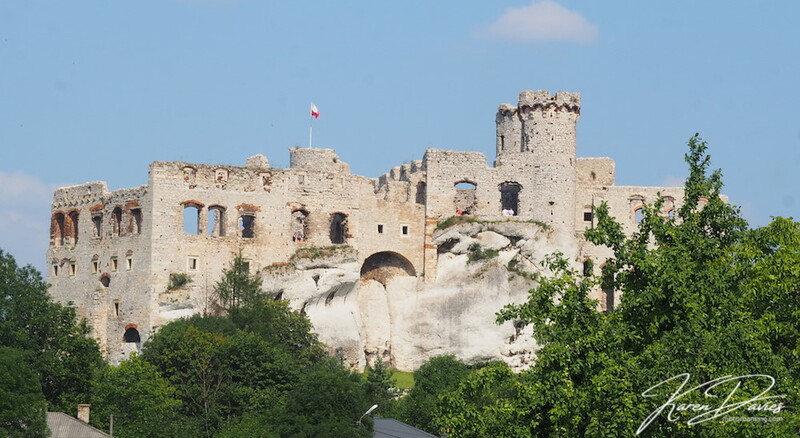 The beauty of the bus option is that you can reach both the Kosciuszki Mound, which is a couple of miles to the west of the city and tough to walk to, and you cross over the river to reach Schindler’s Museum. You can buy your tickets on-line or at the pick up destinations on the day. Check out their website here. 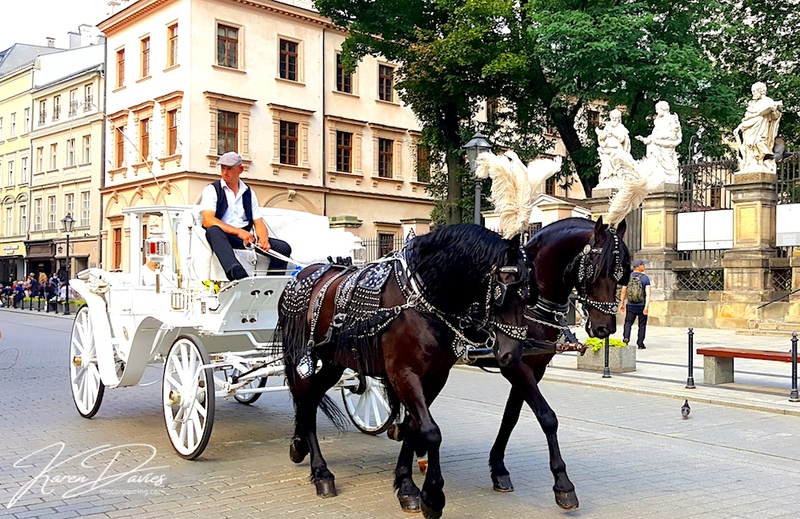 There are other ways of seeing the city either by horse-drawn carriages with their elegantly dressed horses and riders which charge 400PLN per hour for a group – so works about about £20 per person if there is a party of four. Or you could take an electric cart which again charges per group of up to eight people and prices start from 210PLN for 30 minutes (equates to around £42 for the group). This is a great website where you can check out all the current City Tour prices, whichever mode of transport you choose. Just a word of caution; in high season you will need to book tickets in advance for the Underground City in the Rynek, which costs 21PLN per person (about £4.20) and Schindler’s Museum, which costs 24PLN person (about £4.80) – so plan ahead to avoid disappointment. Check out the online booking here. You can’t visit Kraków without taking a trip out of town into the suburbs to catch a glimpse of one of the most unique worlds you may ever see. An underground city that is buried deep beneath the surface of the earth – over 327m to be exact. 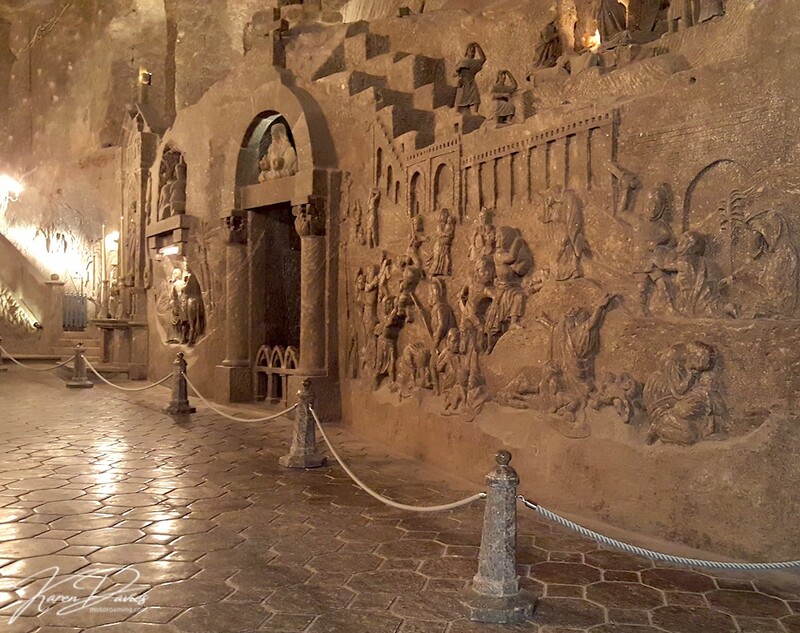 Wielisczka Salt-mines, a UNESCO World Heritage site since 1978, is a must see whilst you are in Kraków. Only 20 minutes away, you can experience 2 hours of the most fascinating history and sights that honours ten generations of Polish miners. The mines hold over 700 years of history and as you join your group of 30 people you enter into the belly of this darkened salt oasis, climbing down 350 steps. Once at the bottom which in fact is only level 1 of 9, you find there are no suffocating tunnels to crawl through, instead you will be wowed by the 2 miles of marble-like walls and floors that would look at home in any grand Palace. Salt, the root of all financial exchange and healing properties became a sought after commodity and back in the day it was privilege to work in this world of darkness underneath the surface. Although these men didn’t just hack these saline walls for salt extraction. No, they displayed their artistic talents by carving caverns, chapels and a Cathedral to allow their sub-terrean existence to feel as normal as possible. 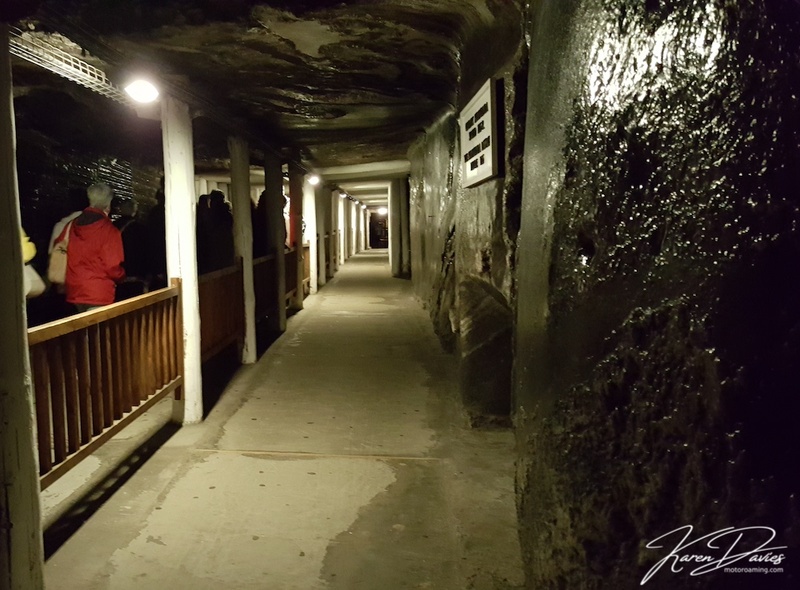 The Salt-mines are an exhibition of life, art, history and a monument to a Polish way of life that has become unique on a global scale. Marvel at the salt chandeliers, the Biblical rock carvings, an alter in the Cathedral and a larger than life sculpture of Pope John Paul II. Around each corner of the labyrinth of tunnels, your breath will be stripped from you for a moment as your eyes feast on the vision in front of you; the colours, the textures and the secret world that is home to its very own saline lakes that are as green as any emerald. We were struck by the enormity of this underground world that tourists only see 1% of on this tour. Now that is mind-blowing given that our tour was well over 2 hours long. Although you can book your tickets on-line if you know the specific day on which you want to visit, you can also just turn up and queue as long as you have the patience of a saint. Bear in mind that over the course of a year, 1 million visitors pass through this unique monument and many of those arrive on any one of the rainy days that blesses this region through the summer. So our advice is, book on-line if you can so you can avoid that queue. Or alternatively make sure you visit very early or late in the afternoon, otherwise in the height of the season you could have to endure up to four hours worth of queues and that is only for a ticket. We arrived at lunchtime and bided our time until 3.30pm. We got straight to the ticket desk without any queues and had just 45 minute waiting time for the tour. The later you leave it, the quieter it becomes. Out of season you will pay 89PLN (around £18) and high season you will pay 94PLN (around £19). You are also expected to pay 10PLN (£2.00) if you want to take any photos. The opening hours of the mines vary depending on the season, although from May to the end of September you can enter from 8.00am until 9.00pm (and this is the last entry time for tickets – so you need to allow a further 2-3 hours for your tour). This can be a demanding tour with walking, climbing up and down 800 steps and walking through salt cladded chambers, so take with you perseverance, wear sturdy footwear and take warm clothing. Although I must say, I didn’t know quite where the time went – you will never feel bored. And whilst you are there, you must have a walk around the village, which is equally beautiful with its castle, mine shafts and the Market Square which offers a 3D pavement painting of the underground Cathedral. It is well worth another hour around this quaint place taken over by the salt-mine master. Our travel experiences are mostly coloured with shades with joy and happy memories and so to consider adding a visit to a place shrouded in pain, suffering, death and torture seems an unlikely choice. Although for a visit to Kraków, building in a trip to Auschwitz-Birkenau is a necessary choice. A visit that, through the discomfort of acknowledging the horror here, we can honour the 1 million people murdered and pay our respects to their suffering. 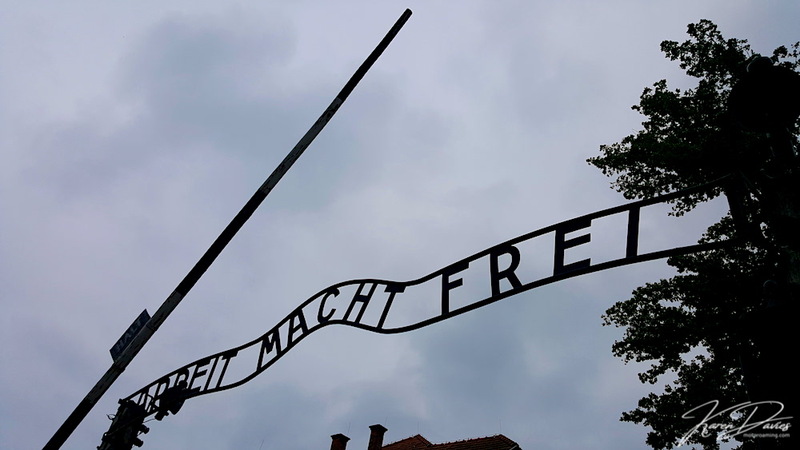 To a time in history that reminds us our lack of humanity and persecution, Auschwitz serves as a harsh reminder of our need to never let such a horrific event ever happen again. We must remember the past and educate the next generation to ensure that we live in a world where the word Holocaust will never be repeated. We owe it to those generations wiped out during both World Wars to offer them our solidarity in a world that needs our compassion. Both Camps at Auschwitz-Birkenau can be visited in one day although do bear in mind that you will be taking an enormous emotional rollercoaster and so if you can spread the two camps over two days and stay somewhere local or camp overnight, this is better, in our opinion. Each Camp needs 90 minutes to do a visit justice and that is without joining any of the inevitable queues and groups that these two museums attract. For individual entry you can arrive on the day and collect a free ticket which we suggest you do either early or late in the afternoon. In fact entry after 4.30pm is best as the crowds wane after this time; the number of groups seriously impacted on our ability to find the stillness we felt the Camp deserved. Auschwitz is more of a museum, using the ‘barrack huts’ as very well organised storyboards for life in the Camp. Birkenau is a much more raw experience where the railway provides a haunting backdrop to the Death Camp and the experiences here, for me, were so much more provocative. There are no queues here and moving around the Camp is much easier. For more information about our experiences at Auschwitz, what to expect and how to avoid those queues – check out our blog here. After the buzz of a city, there is nothing nicer than heading out into the country to experience Polish village culture – and this is what you get if you take the trip out to Zapilie, 60 miles to the east of Kraków. 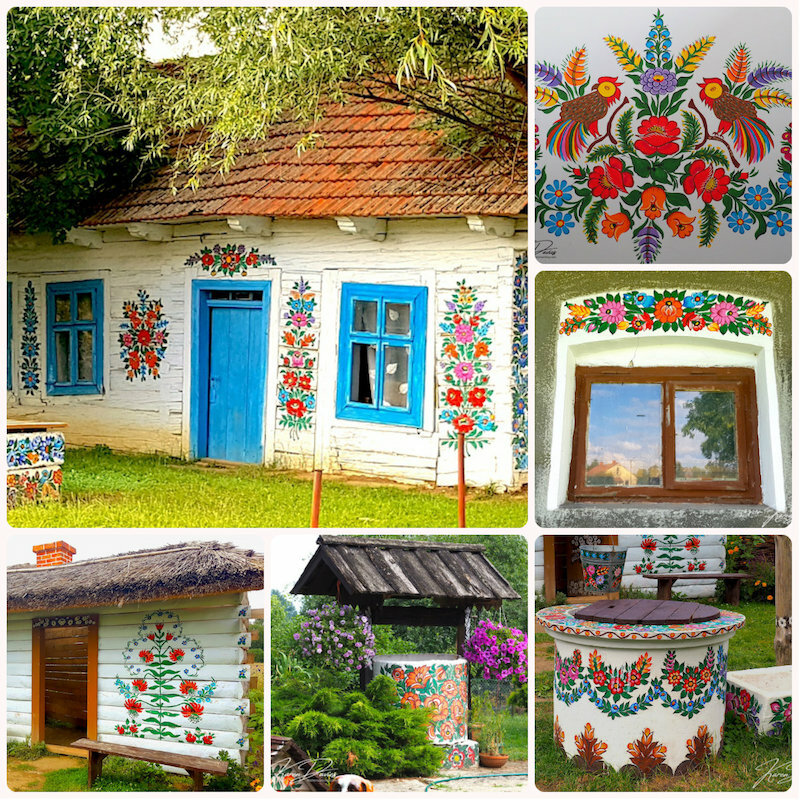 Tradition, folklore and charm ensure that this is a diversion worth making as you uncover a palette of colour inside and out of the homes of Zapilie. Way back in 1800s, women-folk would paint their walls to hide the smoke-stained and blackened walls from their stove’s soot. As the years went on, the bland white, grey and cream paintings became more flamboyant and today the paintings are now seen on many of the outside walls of these delightful traditional cottages. Take an hour or two to wander in the church, see the pretty Fire Station and walk the quiet lanes where wells, walls, kennels, bee-hives, farm buildings and front doors are decorated with love, artistry and colour. Don’t let Kraków fool you. A city of glorious majestic finery it may be, although just minutes north you will find route 794 which takes you on a journey through Poland’s Jurassic Upland – a protected region that is home to undulating hills, forested landscape, the Polish Sahara desert and outcrops of grey limestone rocks that puncture the earth. On top of that, grand castles dot the land in royal stature, with valleys fit for a king; well these days more likely walkers, climbers and nature lovers. From Kraków north to Częstochowa, the Eagle’s Nest Route will offer you 12 Royal Castles, 22 Knights’ Castles and 10 Defensive Watchtowers. Each will tell you Medieval tales of battles and warriors, whilst on the other side, Mother Nature will share her own version of how things came to be with her compelling scenery and ancient geology. What a combination. 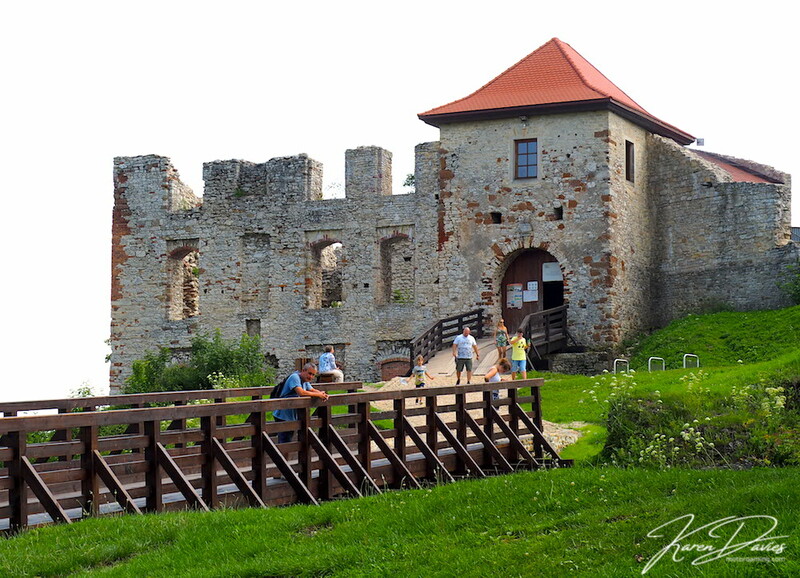 Whilst we didn’t manage to do the whole route of 100 miles, we managed to reach Zamek Ogrodzieniec in one day; having visited Korzkiew, Rabsztyn en route. 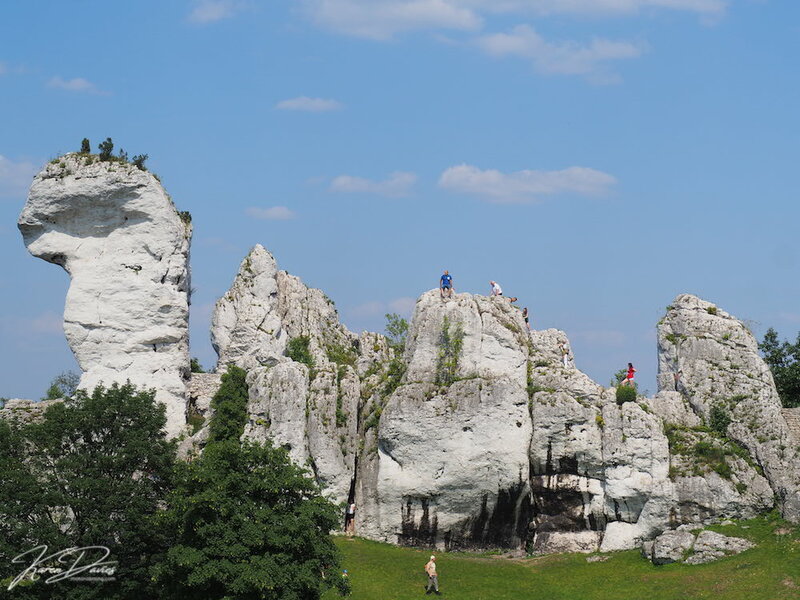 On our return journey to Kraków we then dropped into see Pieskowa Skała and the Hercules Rock and then to the Ojców National Park where you find stunning hiking country, a castle and a classic Polish Wooden Church built in a stream. 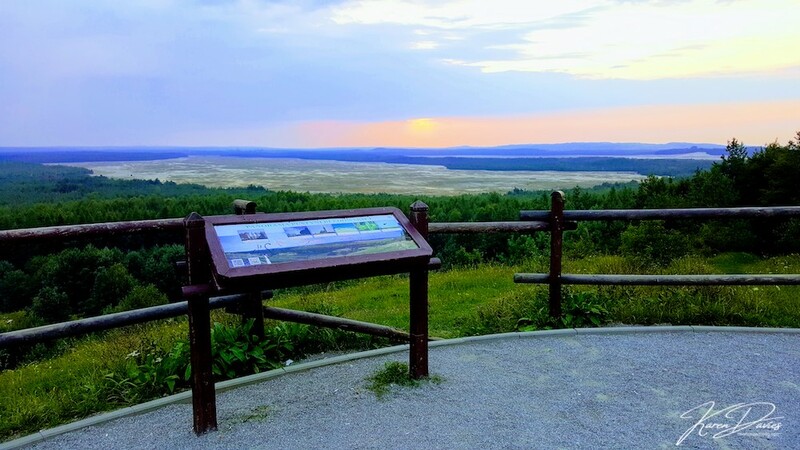 As you motor north, you can’t miss Poland’s answer to the Sahara Desert. Now ok, it’s not really like the African Queen, although it sure is a unique landscape and not what I was expecting in the middle of Poland. Although not naturally formed, Błędowska Sands is Central Europe’s largest mass of sand and is hundreds of years old. 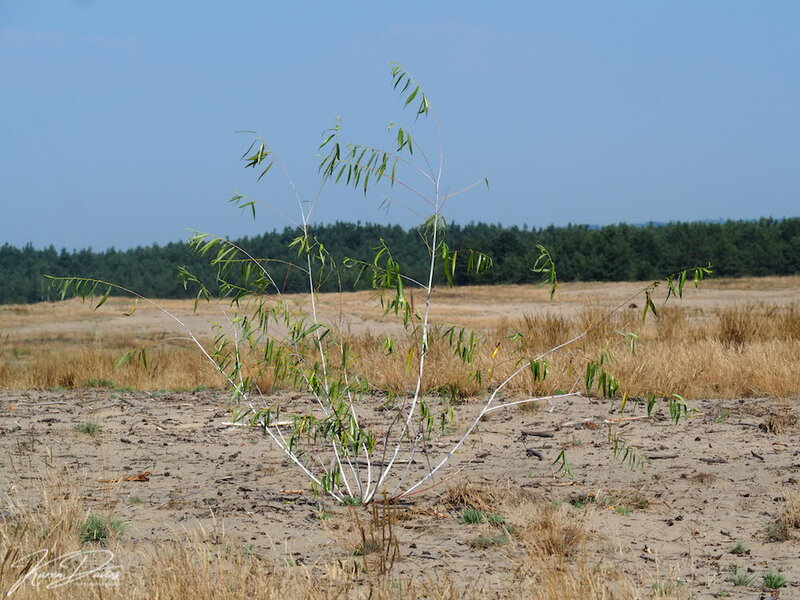 It was created by years of deforestation back in in the Middle Ages and with over-farming the water table lowered so much that it could no longer support life. And so we have our little Polish Desert. A steep descent will have you down on the sands within 1/2 mile of the car park viewing point and from there you can explore for miles. It’s yet again, another unique experience within the shadow of Kraków’s grandeur. 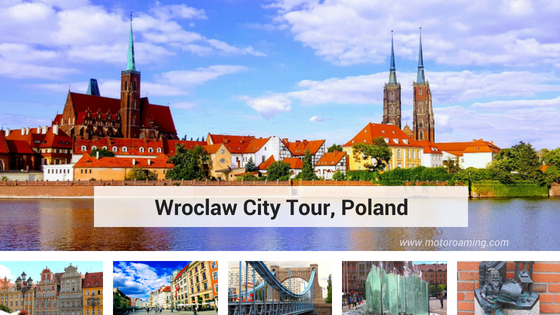 This route is a rich tapestry of wow moments and will give your Kraków visit a completely different edge. Don’t miss it. And so there we have it! 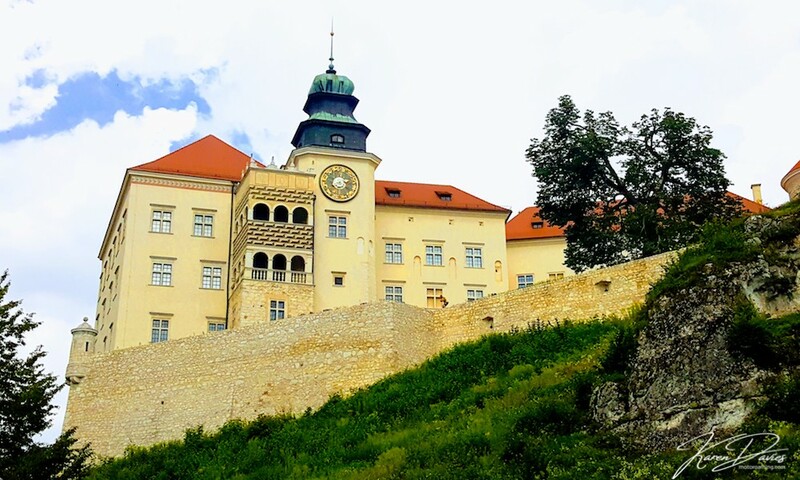 A 10 day excursion around the treasure trove that is the Kraków region. With a compass full of gifts, it matters not which way you point, you will experience a cultural, emotional and historical journey through a wonderful part of the country. Poland offers so much to its eager guests, and with so many delights just within touching distance, surely a visit to Kraków will give you the greatest immersion into this Polish wonderland that even Alice herself would be proud to enter. Come! That is all we have to say! Just come! Brilliant thankyou for sharing. We are definetly going to Poland next May 2019. Oh wow this is amazing! We only have a 4 day weekend to visit, but this post has helped narrow down what I want to see. It’s so beautifully laid out and your writing is so captivating. Thank you for this knowledgeable post that will indeed come in handy next month. This looks really lovely. Poland is definitely on my top 10 bucket list right now. Wow! I havnt been to Poland yet but it looks like you could definitely spend 10 days in Krakow. We are pretty slow travelers too so we might even need more time! I’m 50% Polish & really want to travel to see Poland. Your pics were wonderful. Can’t wait to go visit Poland! I have yet to visit Poland but this post has put it up there on my must visit.